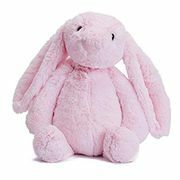 Looking for adorable cheap dolls to add to your collection, or maybe to surprise your little one? We have brought together the best online deals from the biggest retailers so you can make better purchasing decision. You can choose among Barbie, Disney Princesses, Luvabella, Jojo Siwa, Baby Anabelle and you can even buy these at discounted rates when you use voucher codes. Find the best deals and special offers from Amazon, Smyths Toys Superstores, The Entertainer, Tesco, Wilko, John Lewis, Disney Store and Home Bargains. You can also enjoy promotions such as free deliveries for these lovely creations. Massive savings on dolls, dollshouse, and accessories! A doll is a toy for children that is modeled after a human being. In the past, dolls have been used for religious and magical rituals. Traditional dolls are made out of clay and wood. Dolls use for rituals have been practiced in America, Europe, Asia, and Africa. The earliest dolls that were found and documented goes way back to the ancient civilisations of Rome, Greece, and Egypt. They are regarded as rudimentary playthings and elaborate artworks. Today modern dolls are made from different kinds of materials including plastic and porcelain. In the 20th century, dolls were mass produced and were intended to be used as playthings for children. Dolls also became as popular collectibles. Ragdolls and stuffed animals were probably the most popular. You can practically buy them at your nearest department store or mall. You can even buy dolls online at very reasonable prices. 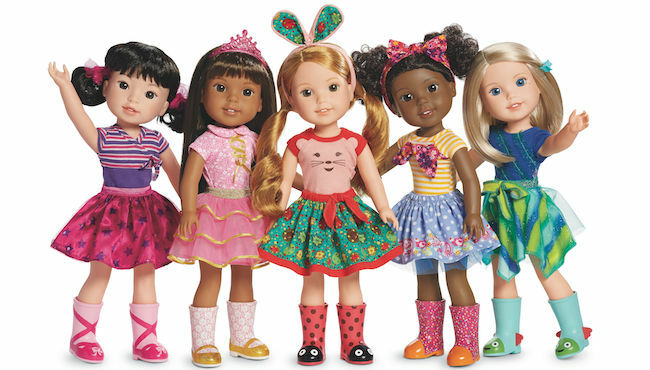 There are lots of dolls that you can buy for your little girl and they will surely appreciate it if you buy them one. There are dolls that are made by famous brands like Bratts, Barbie, and Disney, among many others. 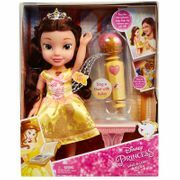 Dolls are great gift items most especially for little girls. It enables them to become jolly and happy. Dolls are very popular play things and it does not only provide fun but it also helps in a child’s intellectual, social, and emotional development. Playing with dolls allows children to discover many things around them. It provides comfort and teaches your child to use their hands. It encourages make-believe play using their imagination and creativity. There are lots of kinds of dolls to choose from and even the packaging of these items states the benefits that your child can get when purchasing these toys. Your child will be thankful if you buy them one as a gift and they will appreciate it. Playing with your children is also a great family bonding time. Social Skills. Playing with dolls encourages children to socialise. Children communicate with one another and cooperate to perform a certain task. They will learn the importance of friendship and playing well with others. Responsibility. Since dolls are modeled after people, children will learn to be responsible and take care of their toys just as caring for their younger siblings. This will also help them to be more responsible for their actions towards their playmates. Empathy & Compassion. Playing with dolls encourages children to be compassionate. It allows them to grow up and care for people that they love. It processes their emotions to feel empathy towards other people. Imagination. Playing with dolls helps develops a child’s imagination and creativity. This allows them to role play and uses their imagination. They can create scenarios with their dolls and their playmates. Language. Since playing with dolls encourages children to play with others. They will also develop their communication skills. This will strengthen their vocabulary and language. They can effectively communicate with their friends and playmates. 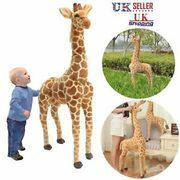 If you are looking for baby dolls and dolls accessories online then you came to the right place. 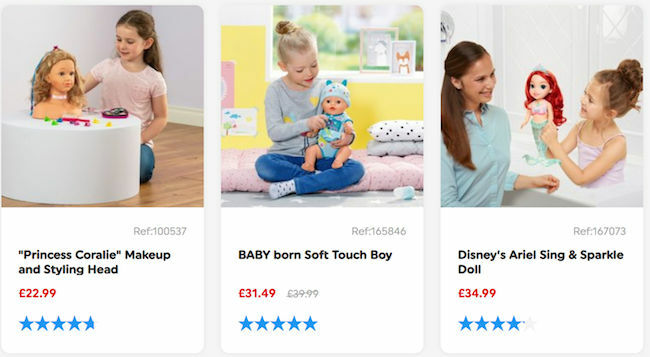 Our massive community of bargain hunters will provide you with the best cheap dolls offers, deals, and voucher codes. Get the best Lol dolls deals and special offers that are available online and save as much as you want. Get access to awesome product options on amazingly great discounts plus you get to choose from the most reliable online retailers. You should also be aware of toy sales since this is where you can get the best bargains when purchasing toys. 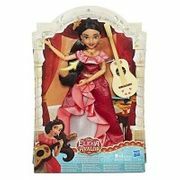 Smyths dolls and deals from other popular UK retailers would likely be on top of your options but you can also look for other great offers. With our assistance, you can fulfill and purchase the dolls on your wishlist at very affordable prices. You can even take advantage of the free delivery options that other UK sellers are offering their loyal customers. There are lots of dolls for girls that you can choose from online. There are even Baby Annabell dolls that are available for kids that do not scare easily. When purchasing childs dolls and Baby Alive accessories, do not forget to use the latest cheap dolls voucher codes to get as much as 60% savings on selected items. Using the latest discount codes is an amazing way to get great value for your money. There are countless Cheap Barbie dolls to choose from, depending on what you are looking for. Take this wonderful chance to find what you are searching for and get them at very low prices.